Heeft u een vraag voor Samaja Villas Seminyak? Met een gunstige locatie in stranden, restaurants, winkelen in Bali, biedt Samaja Villas Seminyak u een zeer aantrekkelijke plek om even te ontspannen in drukke tijden. Het hotel ligt niet ver van het stadscentrum: de afstand is ongeveer 10.8 km en het duurt, over het algemeen, ongeveer 20 minuten om het vliegveld te bereiken. Dankzij de praktische ligging, biedt de accommodatie eenvoudig toegang tot alle belangrijke trekpleisters van de stad. Bij Samaja Villas Seminyak staan de excellente service en de superieure voorzieningen garant voor een onvergetelijk verblijf. Terwijl u in deze geweldige accommodatie verblijft, kunt u genieten van gratis wi-fi in alle kamers, 24-uur beveiliging, taxi service, dagelijkse schoonmaak, 24-uur receptie. 10 kamers, verspreid over 1 verdiepingen, bieden een warme en plezierige atmosfeer. Enkele kamers zijn voorzien van voorzieningen zoals plasma tv, openhaard, gratis welkomstdrankje, spiegel, slippers. U kunt de hele dag genieten van de ontspannen sfeer van de zwembad (buiten), wellnessfaciliteiten, tuin. 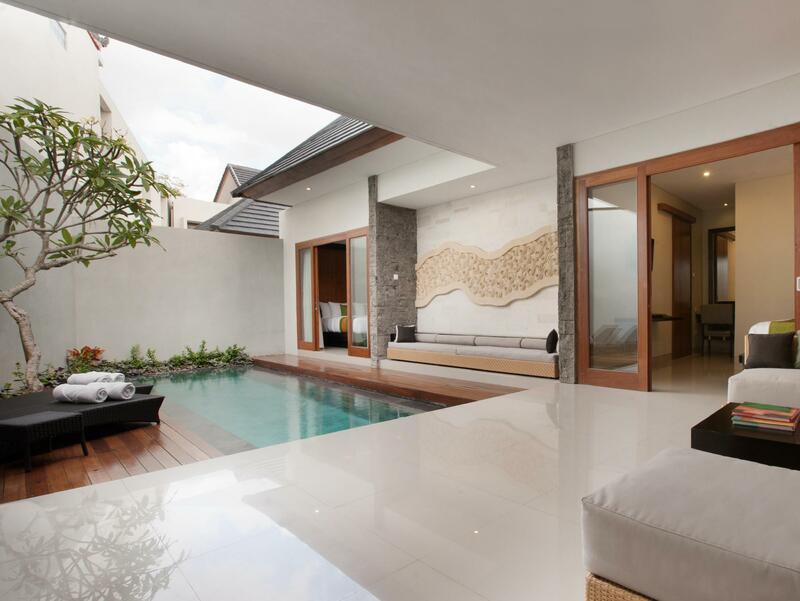 Met een ideale locatie en bijpassende voorzieningen, is Samaja Villas Seminyak voor veel gasten precies dát wat zij zoeken. Voor een extra bed wordt een toeslag in rekening gebracht. Zij dienen een extra bed te gebruiken, waarvoor een toeslag in rekening wordt gebracht. Houd er rekening mee dat op Bali ieder jaar Nyepi (Dag van de Stilte) wordt gevierd op de volgende data. Nyepi (de Dag van de Stilte) is een dag waarop op het hele eiland absolute stilte in acht wordt genomen. Buiten activiteiten zijn niet toegestaan, dit is inclusief het in/uitchecken bij hotels. 23 maart 2012 /12 maart 2013 / 31 maart 2014 / 21 maart 2015 / 9 maart 2016 / 28 maart 2017. My wife and I had an awesome stay at Samaja Villa. They provided us with free airport pick-up, late check-out, and their breakfast came in huge portion! Staff (Harry, Feby, Mila, Wiwik and their team) were friendly and able to converse in English with ease. We were also very satisfied with the villa’s tour guide/driver (Putu). He even accompanied/showed us around the different attractions and happened to be a very good photographer too! Villa is quiet and secluded, about 10 mins walk away from main shops and eateries; travel mostly by cab. Location wise, can be better. Overall, we’re glad that we chose Samaja as the place to stay. We stayed here for 5 nights and 6 days and all I can say is all of the staffs were extremely friendly and helpful. They were very accommodating, the food was really good, spa was really good, basically everything was really good. Don't get deceived by the look of the resort when you first arrive! It looks like it's a small resort but just be patient once you entered your room your breath will be taken away! Their breakfast is very unique it's not buffet. It's like they will give you breakfast form every evening and you will choose what you want to eat and drinks for your next breakfast. The drinks for your breakfast are FRESH juice and I recommend fried noodle in Indonesian breakfast section in the form (if I'm not mistaken) it was extremely good and I never get sick of eating it! We felt very warm and happy with the staffs. They are very attentive and helpful. Breakfast are good. Walking distance to the beach (about 15 mins) If you keep eating and not active good to walk. Surprise birthday cake and birthday songs by the staffs. We are very happy with the overall service. We (group of 3) stayed in their 2-bedroom villa for 4 nights. Check-in & our process were smooth and staff were able to speak good English. The private villa pool was surprisingly bigger than expected. Daily housekeeping were of the highest standard with the staff taking extra initiative to set mosquito repellents every night. All the staff were cheerful and friendly. They ensured that our stay was comfortable throughout. Location is about 30 mins from airport and 15-20 mins from Kuta area. Would highly recommend this place for travellers looking for villas with good facilities and value for money. Overall it was good experience at Villa. But they have very short pool in one villa and we have to change it. also 1 villa on the road side that make very much of the noise. Prices are bit expensive as compare to the property. Location is great and break fast was super. Staff is also great. Rooms looked smaller than the photos. Location is good if you can scooter around Bali, but not many Taxi or drivers knows this place. Has a circle K across the road which was convenient and breakfast was yummy and staff are very helpful and friendly! Cons: Pricey for long stays and mosquitos! we travel to Bali almost every year for vacation but this year was special as we were on honeymoon and also husband's birthday. Staff were very friendly and made us feel like home. Special surprise treat for my husband on his birthday with a cake with staff coming into our villa singing him a song, very nice touch. Room service and housekeeping was prompt and good too. As we have stayed in few villas in Bali before, i must say we were expecting bigger villa but it was smaller than expected but other than that, overall it was a pleasant stay. Staff service was great. Dana was very friendly and helpful, made us feel right at home. Housekeeping made up the room daily with fresh sheets and towels. There were the occasional mosquitoes in the room but the villa's coils and insect repellent took care of it. Location was alright, helpful that they had a free shuttle to Seminyak square area. Otherwise, a taxi will only set you back ~$3 and 10 minutes. Overall, a private getaway well worth the price. Staff are friendly and helpful. Foods are excellent. The room is clean. The staffs are deserved to have a star there!! They are friendly and always with a big smile on their faces. They are helpful and offer warm service. There were lots of choice on their breakfast menu. I can select different kind of food everyday. The Indonesian choice of breakfast is surprisingly delicious. I also tried the dinner menu. The steak and Panna cotta are tasty. The room is clean and they will clean the room twice a day. Though there are mosquito, mosquito repellent and anti insect machine are provided. That's said, I don't see other insect in the room apart from mosquito so is quite good. The location of the hotel is quite good. Though it might not similar to Kuta that you can see lots of shops and restaurants right next to your hotel. But you can take taxi easily to the Seminyak main street where have lots of shops and nice restaurant. And even you can take taxi to Kuta within 20 mins. Overall, I have a pleasant stay and miss the staffs there. Clean and new villa. Superb customer service with lots of personal touch. Food (breakfast and dinner) were good. Decent range of selections for breakfast. A fabulous experience with Samaja Villa. Villa clean and beautiful. Staff always with a smile, very helpful and warm. My boyfriend planned a surprise birthday dinner, and the staff assisted in arranging candles by the pool, flowers at bath tub and bed, and even arranged a birthday cake. He also ordered flowers delivered to the villa and villa staff helped to receive. The staff put in efforts in assisting my boyfriend making this surprise even more memorable. Conclusion: A villa with five star service. Thumb up! the villa is nice, clean n comfortable.. staff is friendly and helpful in accommodate all our request..
We had great stay at the villa, the environment is good, villa conditions is new and clean, staff is helpful and very friendly. We got discount for the candle light dinner at room and it included in room decoration, as well as free birthday cake for the birthday girl. We are surprise with it. Definately will recommend to friend and will come back again. They take care of all details. Take care of kids. Lovely people great stay. Nice compact villa with amazing landscape, ice pool and cozy interior The only bad thing is that “ the great days and moments finished very fast” we wished if we could stay there forever. Really thanks to the hotel staff and to all great places visited in Bali. Great place to stay. The villa was beautiful. 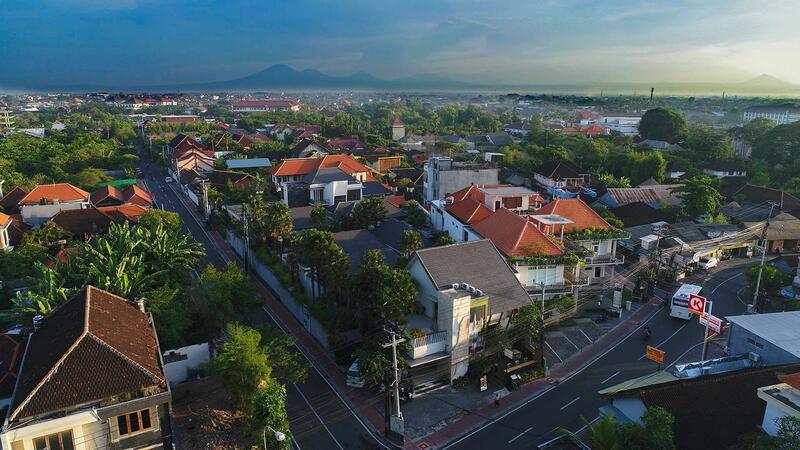 A little away from the main seminyak area but still walkable. The staff were wonderful. Only had a slight issue of the bath leaking a little. Other than that everything was good. Highly recommend. 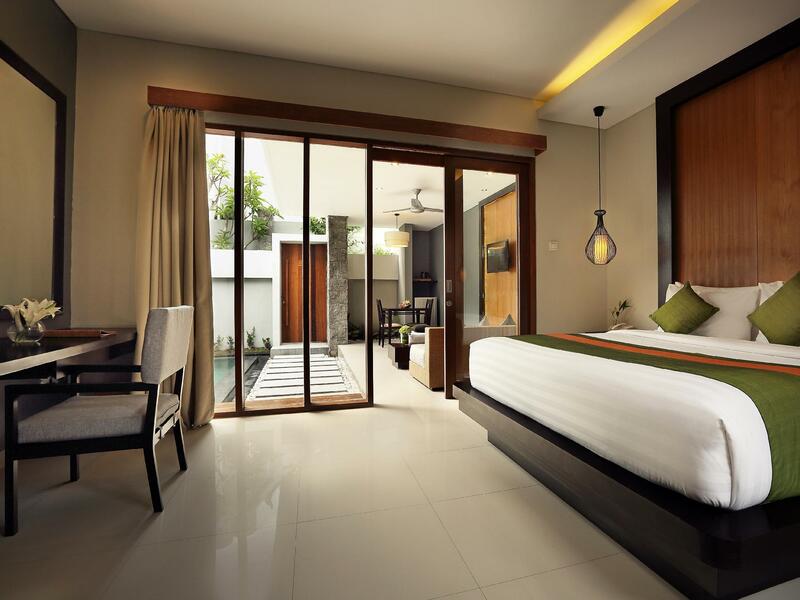 Being a first timer in Bali, we enjoyed our 4 nights stay at Samaja Villas 1 bedroom villa. Its location maybe a little off behind the busy Sunset Road, however if you value a quiet stay this would definitely be a good choice. A 5 minutes walk from the villa, the stretch of restaurants are good dining choices too. The service staff were hospitable through out our stay and you get to select your breakfast the night before for room delivery. Generally, the breakfast was ok but it would be nice to have a slightly bigger portion. The staff threw me a surprise birthday celebration with a cake (I was told it was hard to buy a cake during the public holiday) & I was pleasantly surprised by them! They went the extra mile to decorate our room too! Really appreciate their efforts. I would recommend Samaja Villas as it is value for money and the memorable stay put together by the team. The staff is very friendly and helpful during our entire trip. Thanks for the birthday cake that was prepared for me. Aside from that, the food and villa itself didnt wow me, perhaps i expect more after reading all the reviews. Stayed in Villa 3 for 2 nights. Design of the room was beyond our expectation. Breakfast which was delivered to our villa in the morning was nice too! We would also like to commend manager Dana and his team for the exception service provided throughout our stay. Not to forget that they noticed my birthday while checking in and gave me a surprise cake during my check out. Superb Stay with excellent service! Arrive on 14th April 2018, greeted with a welcome drink. Choose our breakfast preference for the next morning and was shown the way to our villa. The Villa for our stay had a private pool,private seating area,bathtub and standing shower area which is accessible once we get out from the pool which is great! Breakfast is served in our villa. The only thoughts I had I wished the portion was more! -Chargeable for another serving) I had the American breakfast (choice of bread/ preference for eggs and 3 choice of sides) I had scrambled eggs,double portion of sautéed mushrooms and diced baked potatoes and my partner had the oriental breakfast thick fluffy hotcakes with generous amount of dark caramelised syrup. Coffee / tea and choice of juice and a plate of fruits for the two of us. We didn’t get to try the menu they have but saw that it was relatively affordable. Pizza at 50 000+ rupiahs. We would also like to try the spa that they offer starting at 100 000 rupiahs. It’s affordable and doesn’t cost an arm n leg to enjoy a luxurious stay with privacy. The villa location didn’t bothered us much as we had a driver throughout our stay in Bali.